Stable jockey Barend Vorster gave a 10/10 ride to land Light The Waves a strong winner at Morphettville Parks on Saturday, April 6. 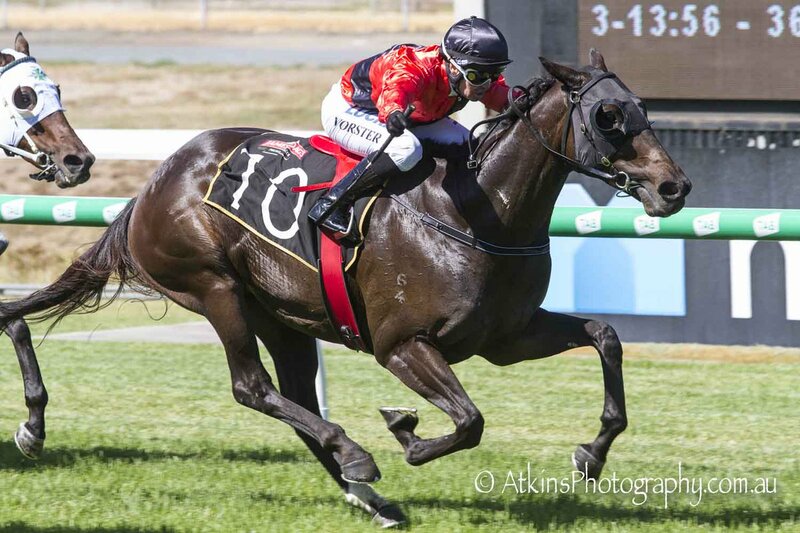 In bringing up a race-to-race double for himself and trainer Tony McEvoy, Vorster came from a seemingly hopeless position to grab victory in the 36degrees South Benchmark 96 Handicap (2250m). After giving the four-year-old mare a soft run on the inside towards the tail of the field, the jockey improved rounding the home turn but was behind a wall of runners. Vorster angled for a run near the inside and Light The Waves ($5) sprinted powerfully to dash through and grab a three-quarter length win from Valac ($1.95 fav) with Meli Melo ($41), a length away third. Assistant trainer Calvin McEvoy said Vorster’s ride had been superb. “She gets back, and we knew that would happen,” McEvoy said. “There were a few horses we didn’t want to get stuck behind and for a little bit it looked like it was going to be but his (Vorster) experience got him through. “He just found the runs and she (Light The Waves) was fantastic and attacked the line today. “Owner Michael Birchall was here today and he is a good supporter of the stable – we have got to thank him for being so patient with her. Vorster was delighted the mare’s win. “They went nice and hard early and the pace was nice and true,” Vorster said. “I had the idea of swooping around them but there were no runs coming, so I had to bide my time and come back in. “Lucky, a run came, and she had the guts, gave me a good kick and we got there in time. The victory was Light The Wave’s second in a row, and fourth overall from just nine starts.